Website Redesign - Is it time for a Website Re-Assessment? To be sure your website continues to be an effective and informative marketing tool, it should be regularly updated with new information and content. These updates ensure your website earns higher rankings in the intricate processes used by today’s search engines. When a website starts to show its age, it doesn’t attract as much attention. With all of the tasks a healthcare practitioners must manage, it’s easy to understand why maintaining your website does not always make it to the top of the list. Be sure to collect, manage and publish information on a regular basis. The easier it is to update the information on your website, the more likely you are to do it often. Search Engine Optimisation is important. This is not something that can be done by an amateur though. Hire a professional to keep your website highly ranked on search engines. It is an investment that will easily pay for itself in the long run. Keep your website appearance clean and do not give in to trends or flashy designs. You want to be able to update and refresh your website without a complete redesign every two years. Look at your website from a patient’s point of view. A visitor to your practice site will not know exactly where to click to get to the information they are looking for, so make it easy. Also keep in mind who your target audience is and design your website around who your patients are. Use your analytics. Keeping statistical information on visitor, clicks, page views and other information will help you optimise your site. You will see the information people are ignoring and what gets their attention. 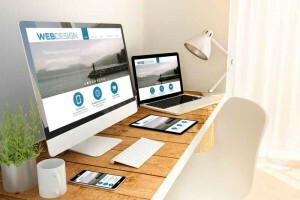 Take advantage of the opportunity a website redesign offers you. If you decide to start over from scratch, this is a unique chance to build a site with top new technology such a responsive website design. Doing it right will maximise your investment. Publish the website when you are nearly done. A redesign is a huge undertaking and a long term project. It does not need to be perfect at launch. Make your major changes and get the site online. Use the previously discussed analytics to make any adjustments that might be needed. Test your website. Test it early, test it often, test is continually. Test your links, pages, load times and navigation. Test everything. This website may be the only point of contact between you and your patients before they call you. You have one chance to impress them. Test your website so you know you are putting your best foot forward. Finally, ask for feedback. Once you have completed and launched your website, have some other people provide you with honest, candid feedback. These steps will help make sure your website does more than simply answer only the basics about your practice, your website will start generating new business and patients for you. Medical Website is the Internet Services and Online Marketing division of Ideal Practice. Medical Website develops custom and professional websites, SEO, online strategies and social media campaigns, specifically for Healthcare Professionals. Contact us today for a FREE website review.